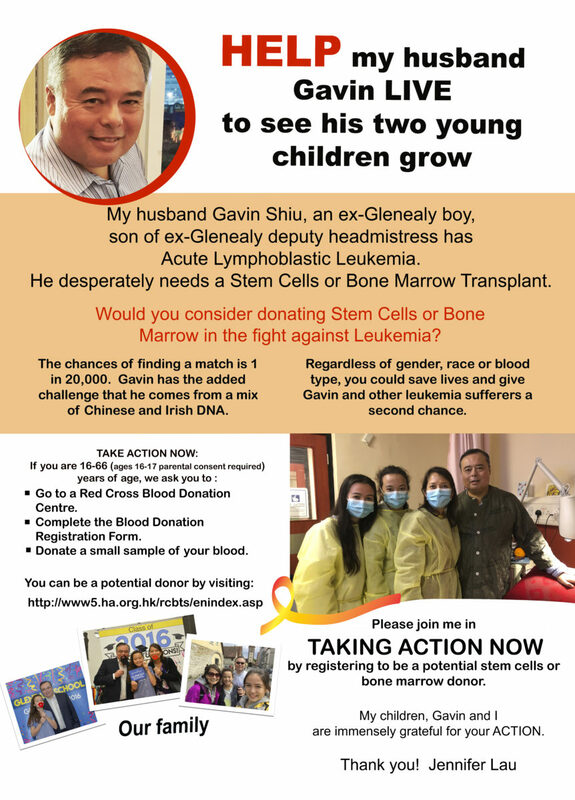 The Shiu Family needs our HELP! Please help share this message to the wider community. Your help is very much appreciated! 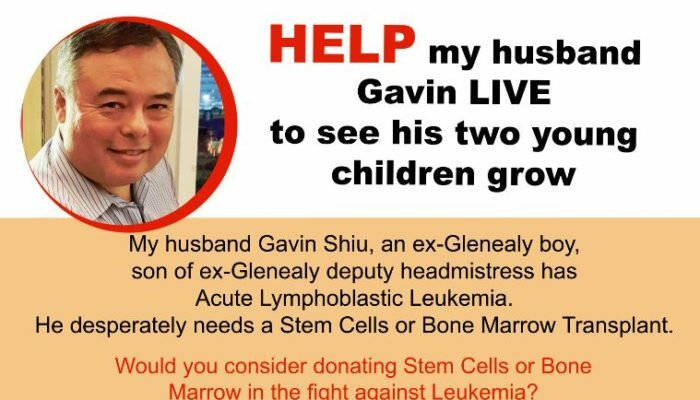 Gavin Shiu, a former ESF Glenealy School and King George V School student, has unfortunately been diagnosed with Acute Lymphoblastic Leukemia. It is a cancer of the blood and bone marrow. 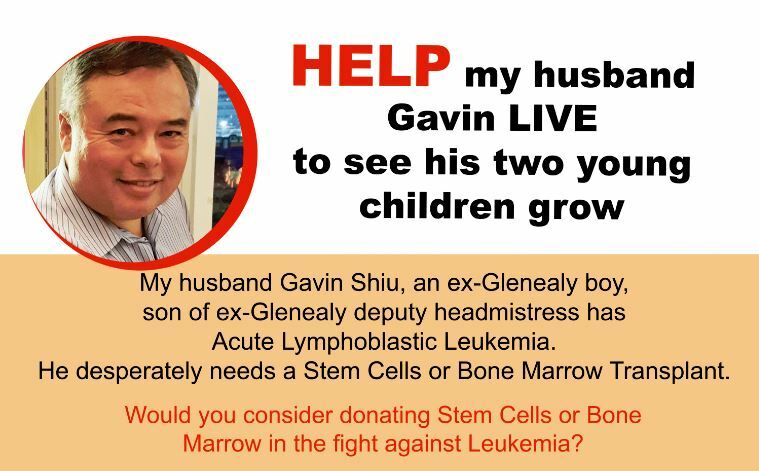 Gavin desperately needs a stem cells or bone marrow transplant. The KGV Alumni Association is organising a Donor Drive on 25 May (Friday) at the Causeway Bay Blood Donation Centre. Please join the family and the Alumni team to take action. Gavin’s wife, Jennifer, will be there from 6:30-8:30pm. We hope you can help the family by joining this Donor Drive too.